3DMAPS is the most innovative way to effectively analyze the function of the entire body in an efficient, revealing, and evidence-based manner. This certification equips you, the movement professional, with the content, competence, and confidence to meet the needs, wants, and goals of all of your patients and clients. Unlike any other movement screen, 3DMAPS is a movement analysis and performance system that efficiently analyses the three-dimensional movements and abilities of all individuals in all of human function. 3DMAPS boils down all of human movement (the three-dimensional interaction of joints, muscles, and proprioceptors) into 6 Vital Transformational Zones, adapts these movements within Mobility Analysis Movements (assessing range of motion) and Stability Analysis Movements (assessing control of motion), and empowers you to then prioritize the best and most logical progressions in serving your patients and clients better. 1. 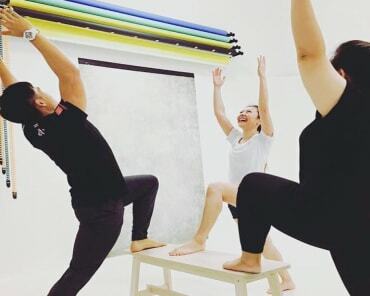 Provides the knowledge and skillset to analyze the entire three-dimensional spectrum of human movement and have access to a functional and robust performance system for ongoing enhancement with no equipment. 2. Addresses real-life function by observing natural upright movements of the body as it deals with gravity and ground reaction forces using 6 vital transformational zones. 3. Analyses both the range of motion and control of motion throughout the entire body and through all 3 planes of motion. Through 6 mobility and stability analysis movements, all 66 joint motions of the primary complexes are covered. The movement analysis results in a relative success code that is unique to each individual and provides directions to enhance the overall functioning of the individual. 4. Consists of 14 mobility and 14 stability progressions to enhance the overall functional abilities of the individual allowing all individuals to progress towards their needs, wants, and goals. Sign up for 3DMAPS here! Your clients are unique. Why settle for a treatment program that approaches every case the same? Arm yourself with the premier certification that gives movement professionals the tools to develop custom assessment, treatment, and training programs tailor-made for each individual. CAFS® is the first certification of its kind that will empower the movement professional to create treatments and programs for the client’s specific needs based on their individual abilities and goals. CAFS is the first certification of its kind that will empower the movement professional to treat and train every client as a unique individual. There are no universal protocols or screens that apply to all clients. Instead, CAFS will reveal a process of observation and manipulation to identify dysfunction and create treatments and programs for the clients' special needs based on their individual abilities and goals. 1. Empower practitioners from any movement industry with the principles and processes of applied functional science. 2. Designed for both beginning and experienced movement professionals. 5. Master techniques that seamlessly transition from more isolated local applications to dynamic global movements which are complemented by additional explanation and various adaptations of the technique utilizing different tweaks from the 10 observational essentials. 6. Gives you a system for endless variations on movement assessments and performance enhancement. 7.Obtain a program design module outlining strategies/progressions for different desired outcomes that can be adapted to any training/treatment program to continue giving clients progressive and functional results based on their daily needs and goals. Sign up for CAFS here! Bundle and SAVE S$250 here!